Construction is an industry focused on results. From the initial architectural plans to the selection of materials to the laying of the foundation, it’s a sector dedicated to specific, measurable tasks and clear deliverables. After all, the concept of “approximation” or “close enough” doesn’t cut it when it comes to building structures. Since construction companies are focused on tangible results, they often neglect to invest in the marketing techniques and strategies that can help strengthen their brand and attract new customers. Instead, they build a strong reputation in the construction community and depend on word of mouth recommendations to land new business. Even though this was a workable approach for years, new consumers must be reached in new ways. If you’re looking for fresh ideas for marketing your construction company, it helps to think outside the box. Here are a few ways you can make sure your business stands out in an increasingly competitive market. 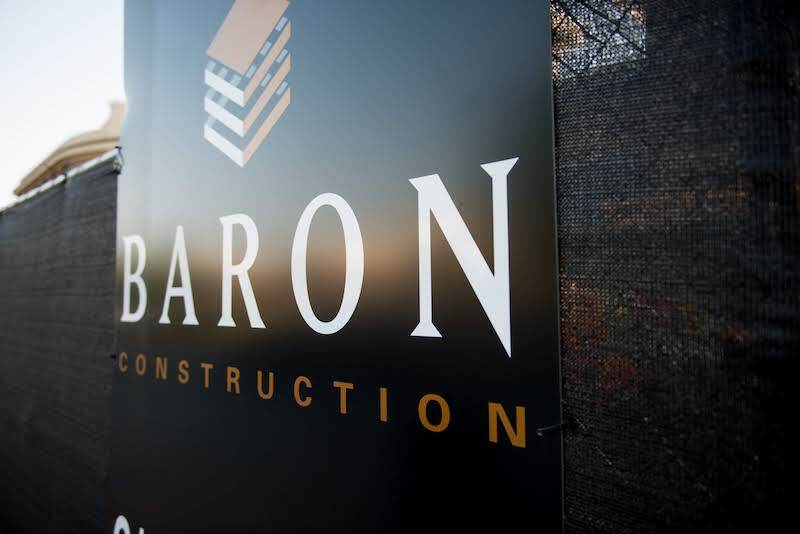 In construction, you’ll want a logo that can catch a potential customer’s eye from a mile away—or even further. Bold logos that stick in a customer’s mind can begin solidifying your brand’s integrity and gaining fans. If you need a logo update or you’re not sure how your current logo stacks up, meet with an expert for a professional opinion. Our designers have years of experience crafting compelling logos and graphics, as well as an awareness of visual trends and modern typefaces. Having consistent, memorable imagery will ensure each site is connected with your company identity. When qualified leads see the same visual stimuli all over a city or region, you’ll capitalize on brand recognition and close even more deals. One advantage of the building industry is that each new project serves as an opportunity to land a future project. 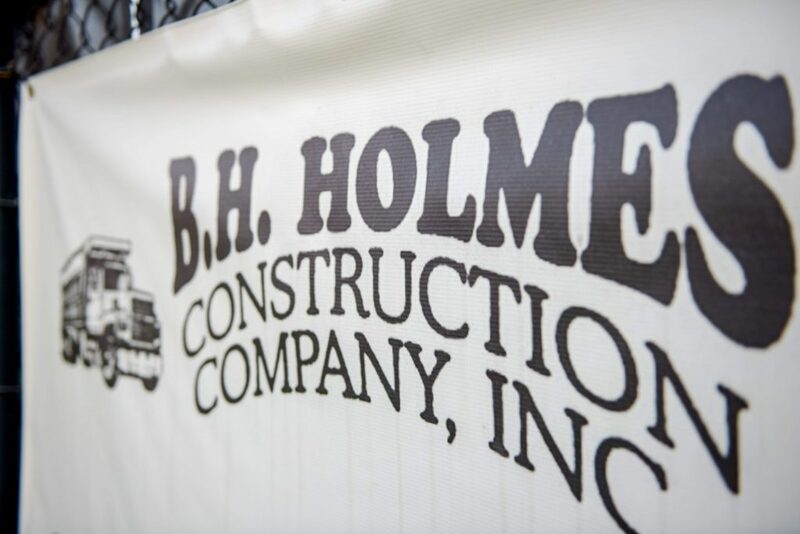 Since construction takes time and occurs in locations all over a geographic area, each building site should be considered an opportunity to spread the word about your company. There are several ways to do this. Building wraps can conceal renovations or new construction, while letting people know who’s behind the work being done. Another option is large-scale signs or banners. In-ground post and panel site signs provide a durable way to showcase an image. For something more portable, durable vinyl or mesh signage can be moved from site to site or on different locations on the site as construction continues. These types of banners are typically printed with UV-cured inks on banners up to 16 feet wide. For larger pieces, an RF welder can be used to combine signage together. Depending on the location of the building site, a carefully-designed privacy fence could attract hundreds of eyes per day. If it’s near a major roadway or walkway, the amount of passive impressions could double or even triple. This is a great opportunity to advertise the innovative work your construction company is doing. Work with a designer to craft compelling or playful messages that can be read in sequence as drivers or walkers move past the barriers. Don’t be afraid to get creative. A printer with a strong in-house design team can pitch a concept that will strengthen your brand. Construction uses a huge amount of materials, and those materials must be transported from warehouses to building sites all over an area. 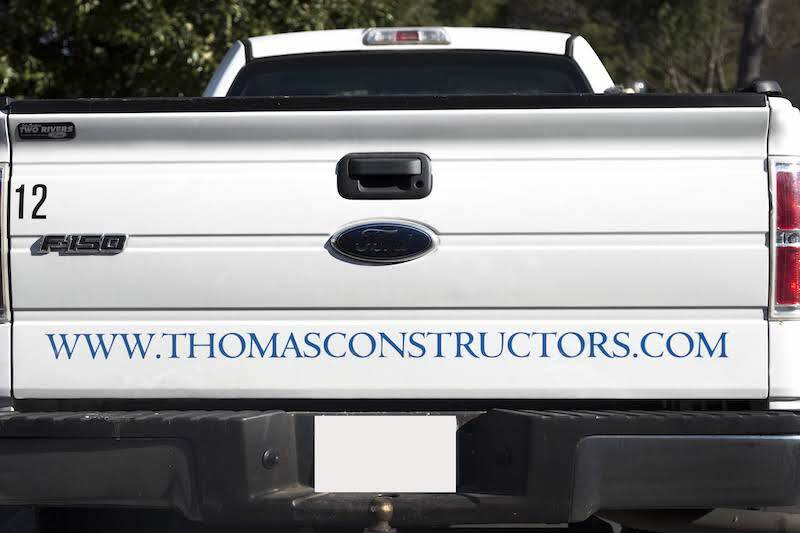 Don’t lose the opportunity to put your brand in front of even more people by executing an eye-catching design to outfit all trucks, vans, and other vehicles as they move materials and workers to and from the work site. Having a unified image on each vehicle projects stability and consistency—two words you definitely want associated with your business. It’s worth using custom vehicle wraps or decals for your entire fleet of workers. If your employees bring their own vehicles to a site, you may want to invest in strong, sturdy vehicle magnets that can be moved between vehicles for greater flexibility. Maybe you’re ready to push the boundaries of what’s possible when it comes to promoting your construction business. We’re skilled at providing creative approaches to logo design, brand identity, and brand awareness. With our versatile suite of in-house printing options, we can provide trade show materials, print products, vehicle wraps, signage, and much more. Meet with one of our agency-level designers to start crafting an approach to your visual identity that will keep all eyes on you.